One of the main reason’s folks come down to stay with us here at the Stella Mare RV Resort is to beach it! After all, you want to come to a place that sports great weather most of the year and is surrounded by sand and surf without experiencing any of it. With that in mind we thought it might be helpful to showcase some of the Galveston beaches that you can visit. We’ll start at one end of the island and work our way to the other. 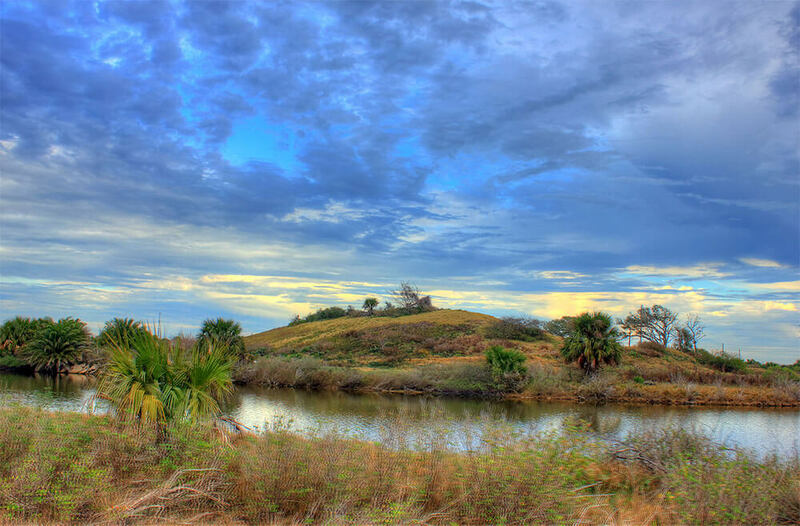 Galveston Island State Park is one of the top 5 “Best Gulf Coast Beaches” according to the Travel Channel. Located on the island’s west end you can spend some time in the Gulf of Mexico or Galveston Bay. It’s open seven days a week and is a cheap $5 per person to get in. While you’re there you can swim, fish, picnic, bird watch, hike, bike, paddle, geocache, explore nature, or just kick back and relax. If you’re planning on fishing you only need a license if you plan on fishing in the bay. If you plan to kayak, you’ll need to bring your own as they don’t offer rentals. As you move further east, you’ll find Pocket Park II and then Pocket Park I. They’re both located on San Luis Pass Road. They’re both open 7 days a week from Memorial Day to Labor Day. Parking costs vary based on the day of the week and the type of vehicle. Pocket Pack 2 offers an educational wetland preserve and beach access points. PP 1 is located near Moody Gardens and Schlitterbahn Waterpark. In addition to some great beachfront, they also have a children’s playground. The Stella Mare RV Resort, across from Galveston beach is the quality RV resort leader in the area. We are great place to begin your beach vacation! You can save your spot with us today at stellamarervresort.com.